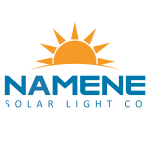 Namene Solar Light Company Ltd., a wholly owned subsidiary of Yingli Namene Solar Ltd., produces and distributes one of the most affordable, high-quality entry-level pico-solar lights, the SM100, to people worldwide that live without access to electricity. The SM100 is a multi-functional pico-solar light that meets the basic lighting needs of low-income families living without access to electricity or as a first-response light in the aftermath of humanitarian crises. We are a group of entrepreneurial solar energy and financing experts, passionate about our mission to deliver sustainable power and lighting solutions to improve the lives of human beings with pollution free electricity at affordable prices, generated by the sun, with no compromise on performance, quality and durability. Darren is a board member of Yingli Namene Solar and Managing Director of the Namene Solar Light Company. Prior to this he was the Managing Director of Yingli Green Energy Europe GmbH. He has 17 years of experience in the solar PV sector. Before joining Yingli in 2008, he served at Shell Solar and Phoenix Solar in senior European and global marketing positions. During Darren’s tenure at Yingli, he managed over 4 GW of cumulative sales across Europe, reaching a peak market share of 10% of the European market in 2013. He led the negotiation and closure of one of Yingli’s largest module supply framework agreements to date of 285 MW. Darren initiated the development of the SM100 Solar Light in 2011, triggered by the huge negative social and climate impacts due to the ubiquitous use of over 200 million kerosene lamps in Africa for lighting. Prior to joining the PV sector, Darren was a research scientist at Rolls-Royce and Shell Global Solutions before moving to the commercial marketing arm of Shell European Oil Products. Darren has a B.Sc. (Hons) degree in Applied Physics and Laser Technology. Patrick is the Managing Director of Yingli Namene Solar and the Namene Solar Light Company. Prior to this position, Patrick spent 15 years in investment banking where he headed a number of front office structured products teams for over a decade. Patrick deployed global solutions for major international groups (Dresdner Bank, BNP Paribas Exane, Natixis, Mitsubishi Securities) working across Europe and Asia. Patrick subsequently founded Namene Energy with the view of bringing together his engineering and structured finance skills to deliver innovative solutions in one of the fastest growing markets. Patrick graduated in Engineering, specializing in Applied Mathematics and Financial Markets. Jason is Finance Director of Yingli Namene Solar and the Namene Solar Light Company, providing a support role across the group to various business streams and leading compliance and financing at a group level. Prior to Yingli Namene Solar, Jason was part of the team of Yingli Green Energy Europe GmbH. Jason joined Yingli Europe in 2016 as Finance Director having worked in the UK renewable energy sector since 2012. Jason joined a UK solar developer shortly after inception as Finance Director and led the company from being an entrepreneurial start up to an established UK solar project developer and EPC in three years. He was responsible for the realisation of a significant pipeline of projects. This included raising equity investment and arranging debt financing for the development of assets, construction, and the sale of 135 MW of Solar PV projects to institutional investors. Jason is a qualified certified chartered accountant, having completed his training at Deloitte in Cambridge, working predominantly in owner managed agricultural and technology businesses providing compliance and advisory services. Denis is Head of Corporate Carbon Strategy at Yingli Namene Solar and the Namene Solar Light Company. Prior to this position, Denis spent more than 20 years with two large companies in the Energy & Environment sector: Elf (Total) for 10 years, where he was in charge of cash and risk management for foreign exchange, before becoming Head of the Markets. And then Veolia Environment, where he was Director of the Market Room and then Director of Analysis and Markets, in charge of the identification, evaluation and design of management strategies for Group market risks, including the carbon market. Denis notably participated in the creation of an internal bank for the Group and a subsidiary dedicated to the management of carbon. Denis is a graduate of ESLSCA Paris - Master 2 International Business. Massimo is the Technical Director of the Namene Solar Light Company. He started his professional career with Yingli Green Energy in Italy in 2011 as After Sales Technical Manager and joined the Team in Germany in 2015 as Product Quality Manager. He was responsible for building a structured communication channel between the European technical community and the quality control department in Yingli headquarters as well as maintaining after sales records to propose actions to solve urgent issues. His contribution in this role resulted in an increased consciousness of costs of quality assurance and the introduction of additional quality control procedures. Prior to joining the solar PV sector, Massimo was a Customer and Process Engineer at Applied Materials. Massimo has a degree in Electronic and Telecommunication engineering. Carolin is the Solar Light Project Director of the Namene Solar Light Company. She has been leading the Solar Light Project since 2014. During the last 4 years she has managed the entire process from idea formation through design to prototype development, production, assembly and shipment of the SM100 Solar Light. Carolin joined Yingli in October 2011 as a Sponsorship & Events Manager steering Yingli’s FC Bayern sponsorship activities and trade show participations in Europe. She also led Yingli’s involvement in FIFA’s “20 Centres for 2010” campaign – an initiative that was launched as part of the 2010 FIFA World Cup™ and created 20 Football for Hope Centres to promote public health, education and football in disadvantaged communities across Africa that are solar-powered with Yingli modules. Carolin has 10 years of experience in the solar PV sector. Prior to Yingli she held senior marketing positions at SolarMagic and Phoenix Solar. Carolin has a Diploma degree in International Business and Cultural Studies from the University of Passau in Germany.